LED can be seen everywhere in life, and gradually applied to large-size high-definition television, cars, streets, workplaces and home. In recent years, LED prices continue to decline, driving the global LED lighting market booming. However, we are facing the second wave of LED lighting industry revolution. The next generation of LED optical technology can provide more comfortable, safe, high quality and networking LED lighting, and the price is more close to the people. 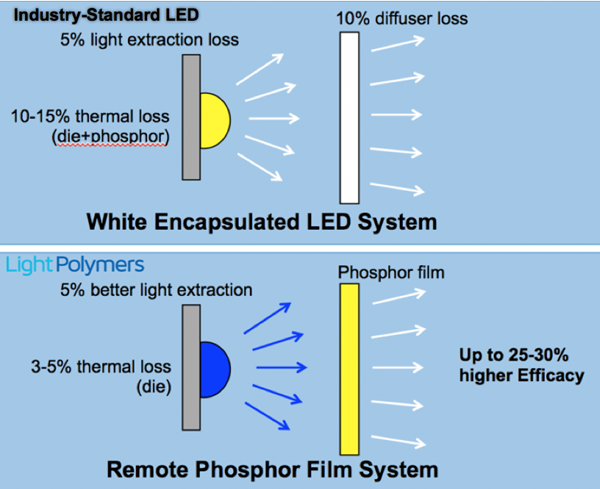 Light Polymers, a new manufacturer of nano-chemical materials in San Francisco, is using the innovative patented technology of the liquid crystal liquid crystal to reverse the LED lighting industry. Light Polymers is specialized in the synthesis of aqueous liquid crystal materials for use in a variety of applications. Now, the company uses this unique chemical material in the down-conversion technology to develop new Crystallin series of products, including architectural lighting with light, beauty light, red light treatment with LED lights, plants, Fish and animal growth lights, professional photographic lights and advanced personal lighting. Among them, the lamp products in August this year through sales partners and online access ahead of the Asian market launch, and in November in the United States. ▲ installed in the office of the Crystallin Gold down light. "Light Polymers' advanced polymer technology is different from traditional fixed-color LED packaging technology," said Marc McConnaughey, chief executive and president of Light Polymers, in an exclusive interview with LEDinside. "Light conversion technology is not a new concept for the LED industry, but limited by the degree of implementation and cost, this technology has been unable to widely used in lighting equipment. In the past, high color rendering (CRI) lighting equipment is mainly used in museums and other performances on the performance requirements of the place. Light Polymers' water-based liquid crystal technology allows luminaires to dissipate comfortable and uniform light, not only with full color gamut (high CRI), but also low glare and to prevent the characteristics of ultraviolet light leakage. Because Light Polymers' chemical materials can reduce manufacturing costs, these ultra-high-quality lighting products will be able to compete at a more reasonable price. "Light Polymers' technology includes special-purpose aqueous liquid crystal materials that can be tightly wrapped together to achieve maximum Blu-ray conversion rates," explains Dr. Huang Zhihao of Light Polymers. "In this way you can use a variety of low-power blue LED, not only can be omitted expensive bin or picking operations, do not need high-brightness LED required expensive large heat sink, add additional costs. Lighting products can minimize the color cast, and reduce the decline in brightness, and than the use of traditional packaging technology, LED lighting more power. Light Polymer's Crystallin recesses create new niche in the highly competitive LED downlight market. This is the thinnest lantern on the market and offers museum-grade lights for home or commercial lighting purposes, and the price is close to the people. "We can design any spectrum in a few days," said Zhang Jiarong, vice president of light Polymers. "We will introduce customized services to provide different spectral phosphorescent films according to customer requirements. The downlight is a cost-sensitive mass market We believe that the market demand for high CRI inlays with reasonable price. " Light Polymers' 6-inch Downlight Crystallin Gold has a high color rendering (CRI greater than 98) with a color temperature of 3000K and 5000K, with a suggested price (MSRP) of $ 14.99. In addition, the 6-inch downlight product also includes Crystallin Red (using a spectrum that does not affect sleep), Crystallin Orange (for photoreceptors with high sensitivity, such as semiconductor plants and programmers who like coding in orange) Crystal salon design Crystallin Salon, and Crystallin Grow (indoor plant growth lamp). Light Polymers also offers Crystallin Custom services to allow customers to customize the spectrum. Light Polymers also invest in multilayer development, making luminous efficiency more than 30% higher than traditional lamps. "At present, the efficiency of LED design has stabilized, to further enhance the overall efficiency, the key is to develop more efficient optical components," McConnaughey said. For LED lighting manufacturers, plant lighting is quite profitable market. LEDinside estimates that the global LED plant lighting market will grow from $ 506 million in 2016 to $ 1.42 billion in 2020. "Light Polymers' chemical technology helps develop low-cost LED light conversion technology and provides new ways to make plant lights," says Marc McConnaughey. "Our existing LED manufacturing process is still not designed according to customer needs and provides a special spectrum, and the production period is quite short. Our plant growth lamp is designed for vertical farms designed to achieve maximum luminous efficiency with light quantum flux density (PPFD) While reducing the power consumption of lighting and air conditioning.Through the light conversion technology and simple, low cost Blu-ray LED, we can according to customer needs to provide accurate growth spectrum. Light Polymers will also soon launch the GrowBlade light conversion flat plant lamp, including 300x300mm, 300x600mm, 300x1200mm and 300x1500mm four sizes. GrowBlades has a high luminous efficiency designed for indoor farms that require a fixed spectrum while taking into account low capital and operating costs. GrowBlades uses a uniform luminous Crystallin film, plus 3 cm ultra-thin design, can provide greater planting space, thereby enhancing the productivity of vertical farms. Through a large area of ​​luminescence with a special Crystallin Grow film spectrum, not only can improve the quality of light, but also increase crop yield. 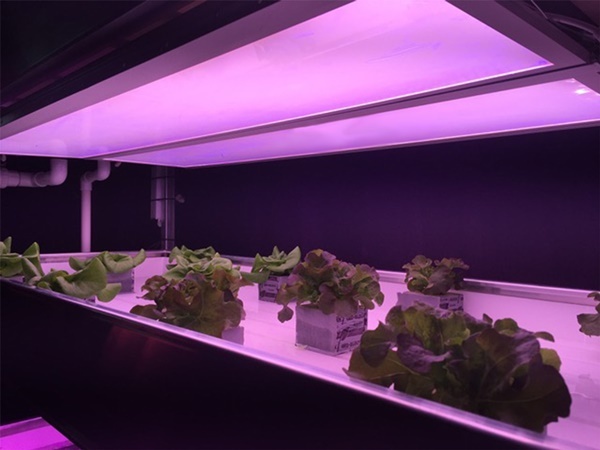 According to the initial field test, a GrowBlade can replace 2 to 3 tube multicolor package LEDs. With the legalization of marijuana in many countries with medical and recreation, it is expected to further push up the demand for global LED plant lighting. 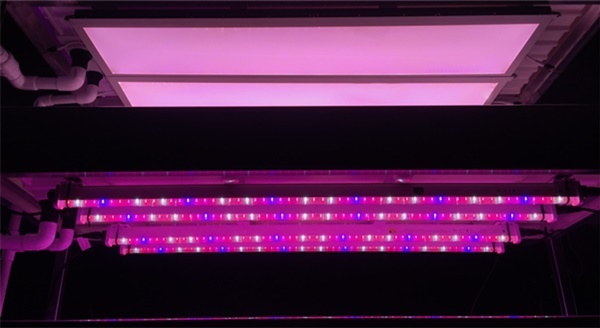 Light Polymers hopes to help plants achieve the best growth results through innovative plant lights and unique top and side lighting designs to capture the niche market opportunities. ▲ GrowBlade lamps using Crystallin Grow film can be used on vertical farms. In addition to LED downlight and plant lighting, Light Polymers will also launch this year's special beauty of red light therapy products. Light Polymers' advanced optical conversion film uses low-cost blue LEDs to provide light therapy with light at a much lower cost than previous generations. Light Polymers has recently demonstrated 660nm light therapy with red film. "Water-based liquid crystal materials can be used in many high-performance professional use, the price is very reasonable," Light Polymers Asia business development manager Ye Meijun said. "There are already high-level hotel with us, hoping to install the relevant equipment for the residents to provide red treatment." Red light therapy has been approved by the US Food and Drug Administration (FDA), can be used in the United States. NASA study found that red light can relax muscles, regenerative glial to reduce wrinkles, and can repair sunburn after the skin. Light Polymers' red light products include 300x600mm and 300x1200mm two sizes, the shell of the modern consumer electronics industry design.